All rules are strictly enforced. All racers MUST sign an indemnity form. At the track, drivers must comply with all safety briefing instructions and obey all verbal and flag rules. Please keep your hands on the steering wheel and feet inside the kart while racing. 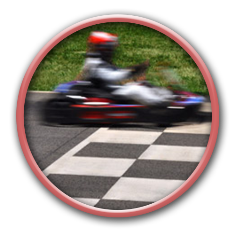 No person will be allowed to participate in karting if under the influence of alcohol. All drivers must wear a helmet and mop cap supplied to them. This is a family friendly venue, no obscene language will be tolerated. 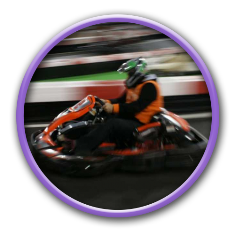 All electronics and personal items should be safely secured before driving the Go-Karts. Reckless driving, stopping, intentional bumping, or U-turns are not permitted.